Here is great news for all candidates who appeared in the SBI PO Mains examination. Today SBI Recruitment department issued a file in the PDF format which contains the Roll Number of the Future bankers who are going to be work as an Officers in the SBI Bank. Those who appeared in the SBI Mains examination can now check their result now. At the Last we share the IMPORTANT LINK section which contains the full list of the selected candidates. 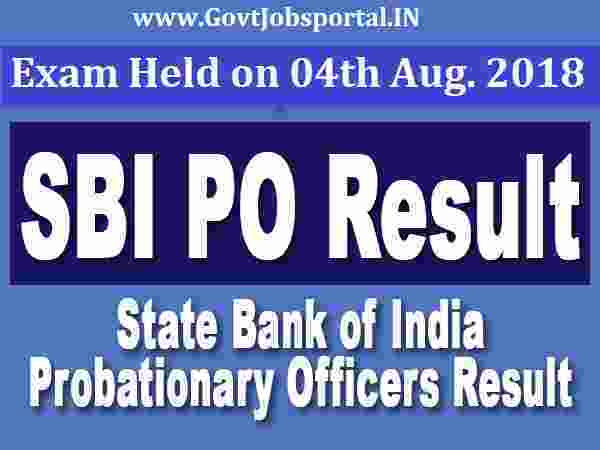 The SBI PO Mains examination was held on 04th Aug. 2018 and today is 28th Aug. 2018 with in a month SBI Recruitment department published the Mains examination result to recruit fresher candidates as a Probationary officers in various SBI banks all over India. Get ready for the interview round for final selection prepare well for the next round of Interview. All the best to all the selected candidates for next round.